Enter your email address below to receive a notification when WiseStays starts accepting new sign-ups! Enter your email address below to receive a notification when WiseStays is accepting new sign-ups again. 1st shipment will be shipped within 2 business days of purchase, no waiting! 2nd shipment onward will be shipped on the 4th of every month! 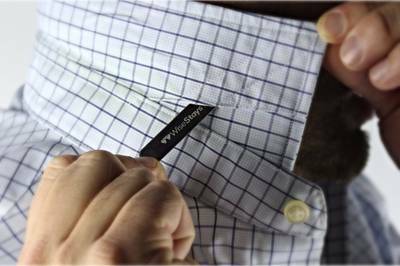 Dress shirts include white plastic collar stays that lose their shape over time. 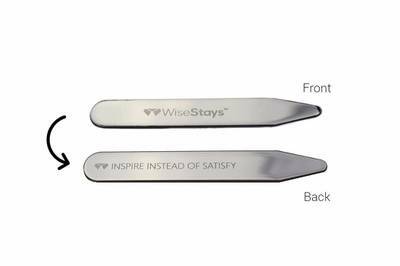 Sharpen your style and mind with WiseStays. Every month our team of entrepreneurs and motivators writes a new inspirational quote, engraves that quote onto our premium stainless steel collar stays, and delivers a pair directly to you! 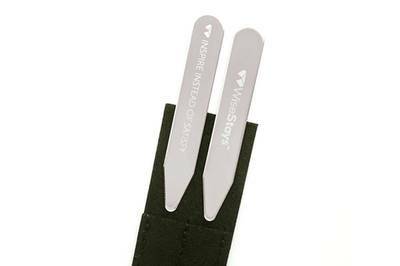 One pair of premium stainless steel collar stays delivered monthly. Motivational quote engraved on each collar stay. New quote every month written by our team. Microfiber polishing cloth included with each collar stay pair. Perfect gift for the motivated man in your life, inspire their mind & style! I had a problem with not receiving my packages, so I contacted wise stays about it. He was incredibly awesome about it and promptly fixed the problem! He even threw in an extra set of stays!!! I love the quality of the product, and they look great in my shirts! I was looking for the perfect give for my husband and absolutely found it with WiseStays. I have bought engraved collar stays as gifts for him in the past and he loved them, so finding this subscription was amazing. The stays are beautiful, high quality and made to last. I also have to add that we had the most amazing customer experience with this company. Hands down. The owner personally reached out to me regarding my first order as well as included a hand written note in our first delivery. I had no customer service issues, or questions, he just genuinely wanted to make sure our customer experience was a great one. And that it was. Kudos to this company for putting such personal service back into the buying process. They have certainly earned my loyalty! I am enjoying these collar stays. 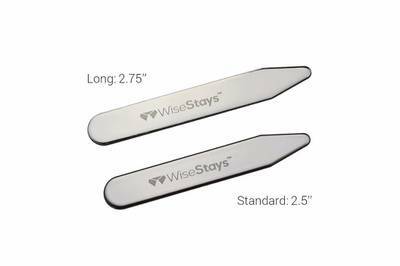 The physical collar stays are very high quality and make a huge difference compared to the basic retail store plastic stays that I had before. I also like the added ritual of inserting them into my collar each day. I'm very excited to see what next month's quote is!